and motion for you to belly-up to my tableau. the whole esoteric assemblage of Truth. 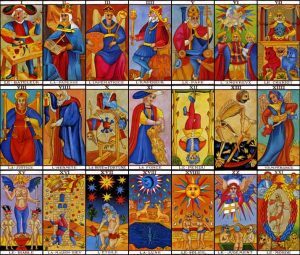 Cacophony and The Sycophant, crisscross The King of Irony. The Waiting Uber. of Tablecloths covers you. As others see you, Ambivalence. Happenstance, your hopes and fears. your best course of action. Sustenance, the Dilettante. The Wheel of Dissonance. Shannon Connor Winward is the author of the Elgin-award winning chapbook, Undoing Winter. Her writing has earned recognition in the Writers of the Future Contest and has appeared in (or is forthcoming from) Fantasy & Science Fiction, Analog, The Pedestal Magazine, Eternal Haunted Summer, Literary Mama, Star*Line, and The Monarch Review, among others. In between writing, parenting, and other madness, Shannon is also an officer for the Science Fiction Poetry Association, a poetry editor for Devilfish Review and founding editor of Riddled with Arrows Literary Journal. 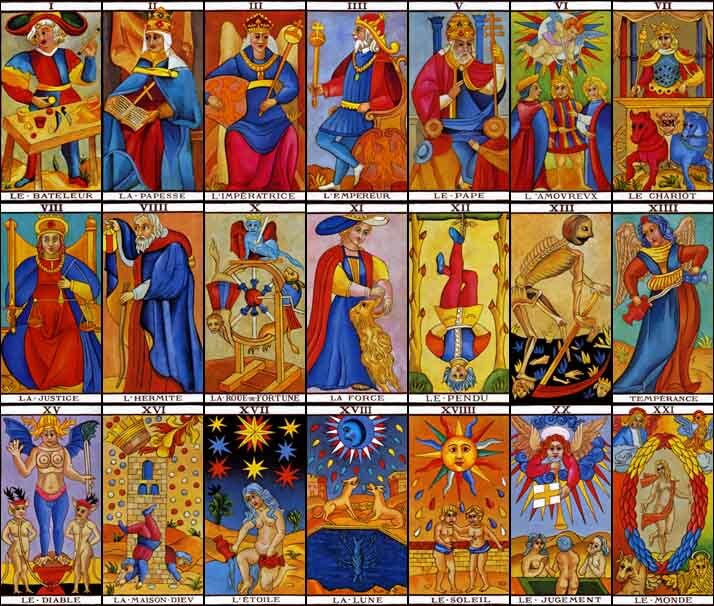 Thumbnails of major arcana from Tarot de Marseille by Nicolas Conver (ca. 1760). Recolored version. for discussion on cognitive dissonance.